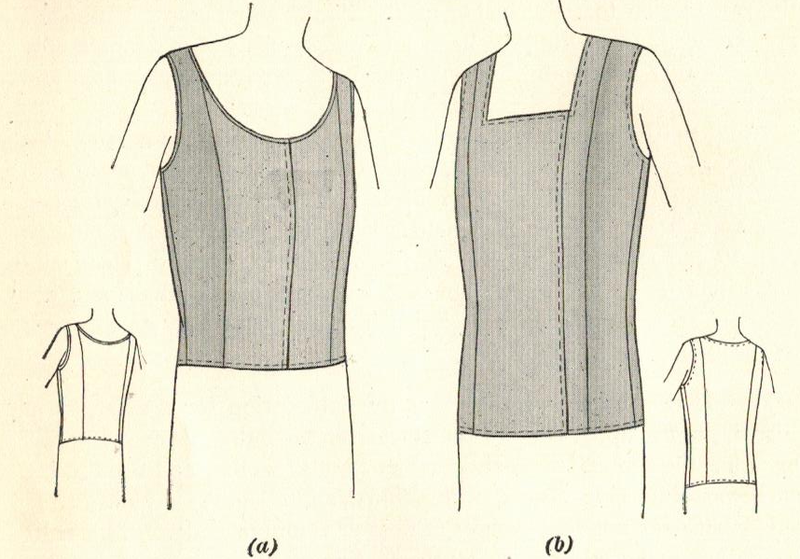 In the 1920s, foundation garments were grouped into two main categories: waistline foundations and lining foundations. The topic of this post is to provide an overview of the lining foundations. And just to be clear, in general, foundation garments is not the same as lingerie, which is a different subject (although when we get into slips, the two subjects blur...). 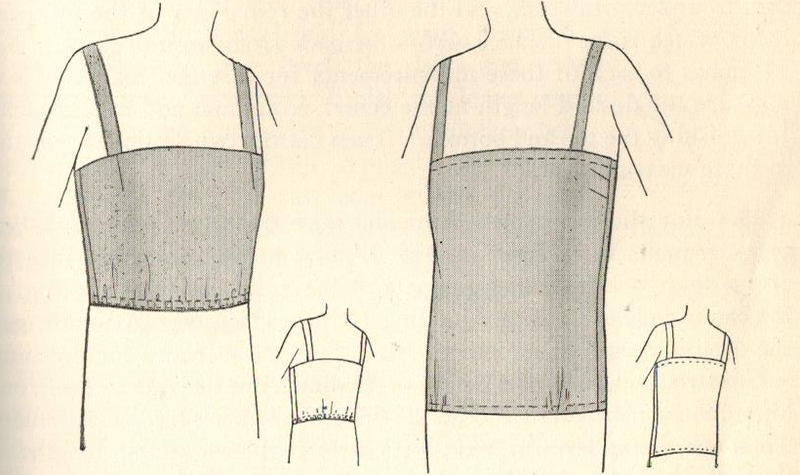 Waist linings serve as both a protection to a dress (though particularly across the shoulders) as well as a means of holding a dress in its correct position, and as a foundation to which a skirt may be attached. 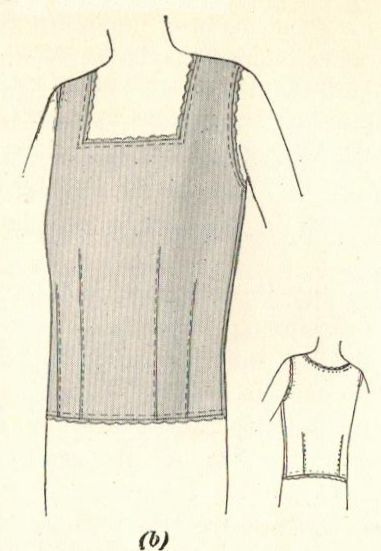 The camisole lining is simplest to make and was considered optimal for young girls and slender women (and also provides a dainty effect under sheer garments). The built-up lining is preferable for the woman who is size 42 or larger. 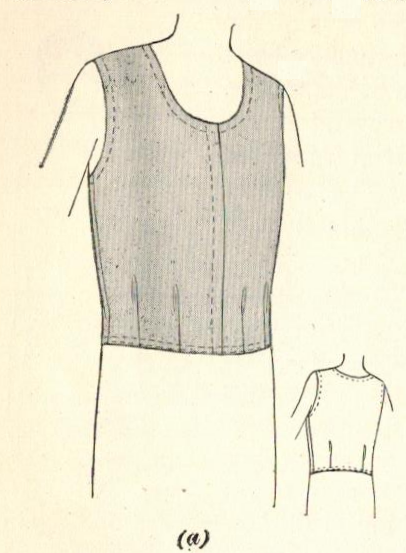 The close-fitting lining is essential for dresses that fit closely on figures of all types, and for many types of dresses intended for the "stout" figure. For one-piece dresses of sheer fabric (as opposed to two-piece dresses), the lining (regardless of type), should be extended to the full length of the dress as a slip, so as to eliminate a conspicuous break at the waistline.